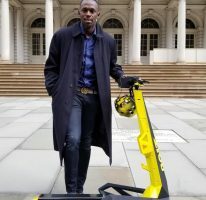 PRINT king Usain Bolt, as well as corporate executives Minna Israel and Earl Jarrett will be conferred with honorary Doctor of Laws (LLD) degrees by the University of the West Indies (UWI) in November this year. 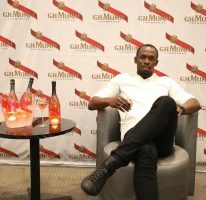 According to the May 2011 issue of the UWI magazine Mona News, Bolt, Israel and Jarrett are among 20 “regional icons” who will be named honorary graduands for their contribution to regional advancement at the graduation ceremonies to be held on the UWI’s four campuses across the Caribbean beginning on October 15. The Mona campus graduation ceremony is scheduled for November 4 and 5 and will also see Professor Lenworth Jacobs receiving the honorary Doctor of Science degree and Dr Erna Brodber being conferred with the honorary Doctor of Letters degree. 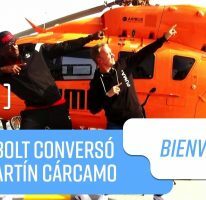 Bolt is the double sprint world record holder and Olympic champion, having posted the fastest times over both distances, first at the Beijing Olympics in 2008 (9.69 secs for the 100m and 19.30 secs in the 200m) and at the World Championships in Berlin the following year (9.58 secs over the 100m and 19.19 secs in the 200m). After his performance in Berlin, the Jamaican Government conferred him with the diplomatic title Ambassador-at-Large. He was also conferred with the Order of Jamaica and was previously invested with the Order of Distinction, commander class. Israel, a career banker, is president and country head of RBTT Bank Jamaica. Before that she worked for many years as a senior executive of Scotiabank Jamaica. Israel’s contribution to banking in the Caribbean earned her the American Foundation for the University of the West Indies Caribbean Luminary Award and the University of Technology Distinguished Alumni award. Israel holds a Masters of Business Administration in Finance from the Richard Iver School of Business at the University of Western Ontario and a BSc in Management Studies from the UWI. Mona News said that Jarrett will receive the Honorary LLD for his sterling contribution to banking in Jamaica. Jarrett, the general manager of Jamaica National Building Society since 1999, holds both a BSc and an MSc in Accounting and is a Fellow of the Institute of Chartered Accountants of Jamaica. Mona News reported that he has also held leadership positions at the International Union of Housing Finance, the Dudley Grant Memorial Trust and has been a board advisor to the Inter-American Dialogue Financial Services.